How Does The Bible Define A Fool? The Bible speaks about the fool many times. What is the context and how do you define a fool according to the Scriptures? The word fool is used 71 times in the Book of Proverbs alone and since that word is used so frequently in the book of wisdom, there must be something inherently wrong with being a fool. Here is why. 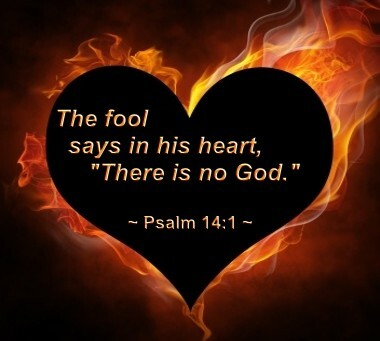 The Hebrew word for the word fool is “nabal” and means senseless so the fool basically, according to God, has no sense and why “The fool says in his heart, ‘There is no God'” (Psalm 14:1). He or she is a fool if they claim there is no God. For one thing, no one can ever conclusively prove that there is no God unless they’ve been everywhere in the universe. Also, Psalm 19 proves that there must be a God because “The heavens declare the glory of God, and the sky above proclaims his handiwork. Day to day pours out speech, and night to night reveals knowledge” (Psalm 19:1-2). If you’ve been out on a starry night, you must conclude that this universe and all its vastness did not cause or create itself. The order and symmetry of the heavenly bodies are like a well-tuned orchestra that works to perfection (Isaiah 45:18) because God is a God of order and not of chaos or confusion (1 Cor 14:33). Let’s allow the Scriptures to show us how God defines who or what a fool is by seeing how the word is used in context and what the evidence of a fool really is. The Greek word Jesus used for fool “aphrōn” is like that in Hebrew and means “without reason” or “senseless.” Jesus was telling the Parable of the Rich Fool where a man had accumulated so much wealth that he decided to take life easy and eat, drink, and be merry but what was wrong with this? He had so much that he should have shared with the poor but he didn’t. Instead of sharing his wealth with the poor, which was a blessing from God, he built bigger barns but just when he thought he had a life of ease, he died and his very soul was required, thereby defining himself, as a fool. What a foolish thing to do. To conceal hatred with lying lips, not realizing that God can read the thoughts and intents of the heart and the fool also utters slanderous lies about others, perhaps in gossiping, and so he is declared a fool by Scripture and thus, by God Himself. This agrees with what Paul wrote in 1 Corinthians 15:33 that “Bad company ruins good morals.” Whoever a person hangs out with becomes like them, for either good or bad, so the one who walks with the wise will tend to become wise but the fool who runs with the foolish will become like them. If a person runs with people who say that there is no God and such people are declared by God as fools, then they will also start to believe there is no God and become fools with them. Only a fool will despises his father’s or his mother’s instruction because they have more experience, more wisdom, and have more common sense about life. So if a person despises parental wisdom, they only show their foolishness. On the other hand, the person who listens to (heeds) reproof (or correction) is prudent and is no fool at all. This is one of the few Scriptures that indicate that a fool can be wise but it’s only when they keep their mouth shut because when they do, others perceive them as wise. Sometimes it is better to say nothing and be considered wise than to open the mouth and remove all doubt. That is because “Whoever restrains his words has knowledge, and he who has a cool spirit is a man of understanding” (Prov 17:27). Someone who is a fool doesn’t like gaining wisdom because that takes work but by only expressing their opinion, they show people just how worthless opinions can be. Just look at the number of talk shows today and you can see just how foolish human opinions are and how worthless or useless they are in relation to the wisdom of God. Wisdom is found in the Scriptures but those who take no pleasure in reading the Word of God have nothing worthwhile to contribute. The wise will hold their tongue and their temper but the fool lets it all go full vent for all to hear. Only the wise will hold it back their anger, even if they feel it but the fool has no wisdom to restrain him from expressing and exposing his anger, which will soon get him or her into trouble. There is something about someone who is wise in their own eyes that make them hard to be around; they are so full of themselves they can never learn anything from anyone else. That is a tragic state to be in because there is more hope for a fool than such a pride-filled person who sees themselves as wise. Paul conversely wrote “Let no one deceive himself. If anyone among you thinks that he is wise in this age, let him become a fool that he may become wise” (1 Cor 3:18). So Paul’s point is that if they are wise in their own eyes, they’re really a fool but if they act as one who is a fool (that is, they are not wise in their own eyes) then only then can they become wise. I used the Word of God to describe what a fool really is and not include my own opinion because human opinion next to the Word of God is only subjective thought when the Word of God is objective truth. If we are to become a fool then let us be “fools for Christ’s sake, but you are wise in Christ. We are weak, but you are strong. You are held in honor, but we in disrepute” (1 Cor 4:10). Christians should “not be foolish, but understand what the will of the Lord is” (Gal 5:17). When unbelievers are “Claiming to be wise, they became fools” (Rom 1:22) “For the fool speaks folly, and his heart is busy with iniquity, to practice ungodliness, to utter error concerning the Lord, to leave the craving of the hungry unsatisfied, and to deprive the thirsty of drink” (Isaiah 32:6). Let us never be so because only the fool says that there is no God (Psalm 14:1) for which they have no excuse (Rom 1:20) when everyone really knows there is a God (Psalm 19:1). Resource – Scripture quotations are from The Holy Bible, English Standard Version® (ESV®), copyright © 2001 by Crossway, a publishing ministry of Good News Publishers. Used by permission. All rights reserved. Please note that the word Na-Va-L (pronounced differently than Naval / Nay-Val which refers to marines) which appears in Psalms 14:1 (I looked at the original in Hebrew) does NOT translate to “fool” but to something much closer to “Villain”. Previous post: What Is Leprosy and Why Does The Bible Refer To It So Much? Next post: Where Should A Christian Addicted To Drugs Turn?